Ned Bustard, Square Halo Books, 2006. First published in 2000 is once again avail-able in a revised and expanded edition. There are seven new essays in this edition including an introduction, with 21 authors contributing. The essays are written mainly by artists and topics covered include Creativity, Good, Craftsmanship, Color, Truthfulness and Community all written with attention to the arts. Adrienne Chaplin has an essay on beauty where she offers a well informed account of the current state of the discussion on this important subject. Theodore Prescott artist and professor of art, takes up the subject of identity and explores the relationship between artists and their art. 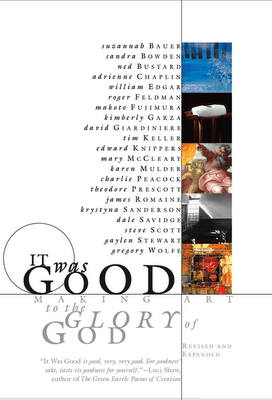 This is an insightful piece that provokes the reader to consider how being a Christian and being a artist connect.Tim Keller the well known pastor of Redeemer Presbyterian Church in New York tells us why we need artists while Dale Savidge who has taught theatre for many years and is founder of CITA takes up the theme of incarnation in the context of the stage. Gregory Wolfe founding editor of Image Journal looks at the stewardship of culture and the role of art and faith in that context.